Founded in 1999, Steelway International quickly grew into one of the largest U.S. designers, engineers, and fabricators of light gauge steel trusses and wall panel systems. 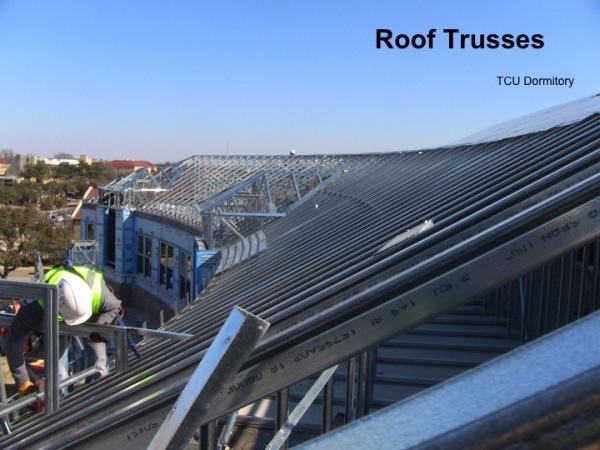 Under the direction of Kirk Hagler, the President & CEO, Steelway became instrumental in developing the market for light gauge steel building components in Texas and its surrounding states by educating, demonstrating, and promoting the capabilities of steel floor and roof trusses to developers, architects, engineers, and general contractors. Today, Steelway's headquarters and manufacturing facilities are located in Terrell, TX in a 94,000 square foot facility and on 22 acres of land. By using advanced software technology, automated laser systems, and proprietary fabrication equipment, Steelway can deliver complex building components to fit almost any structure or application. Steelway designs, engineers, supplies, and erects complete building systems for mid-rise construction. Among these services, complete building systems include light gauge steel load bearing walls, floor, and roof systems. We pride ourselves on our diverse portfolio, including projects in the retail, military, restaurant, hotel, assisted and senior living, residential and commercial sectors. We believe that building strong client relationships is incredibly important, so we work closely with our customers to engender complete trust with them. Our team has a great wealth of experience and know that despite the complexity of the construction process, there will be no mystery to what you as our customer are getting and how to install it.